TransitScreen was included on the list of the "Biggest Transportation Breakthroughs of 2014" by CityLab's Eric Jaffe as an Honorable Mention. 2014 was a major year for transportation globally, including major advancements in self-driving cars and self-driving transit systems, the first high-speed rail systems arriving in the United States, and the Copenhagen Wheel gaining traction and revolutionizing bicycle transit in the city. We at TransitScreen are excited to continue to be a part of the transportation revolution, and cannot wait to see what 2015 brings! When considering how to summarize the Year in Transportation that was 2014, it's tempting just to compile a list of Uber-related incidents or scandals or lawsuits or absurdities and call it a day. But as much as the human and hive minds are drawn toward negative news, there were some truly uplifting mobility breakthroughs this year far more deserving of a digital curtain call. Though you probably haven't heard the last of them: much of what happened in transportation in 2014 will change the way we'll travel around cities for many years to come. The Self-Driving Car Conquers Cities. As CityLab first reported, back in April, Google's self-driving car has graduated from the relative simplicity of freeways (speed up, slow down, shift lanes) to the dynamic hazards of urban roadways. The company upped the ante a month later by releasing early (and adorable) design prototypes for an autonomous car that it hopes to produce and test on California streets. It's only a matter of time before these transformative cars—or ones inspired by them—will reach streets near you. High-Speed Rail Comes to America. 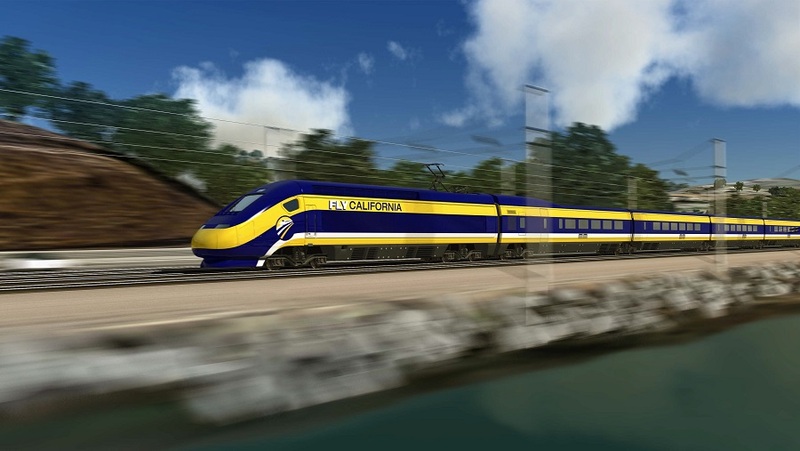 History may well look back at 2014 as the year that American high-speed rail passed a tipping point. California's Los Angeles–San Francisco line finally found some stable funding, announced a winning bid, and set a groundbreaking date. But with that project tough for others to copy, what with the many billions in public money, perhaps more intriguing were the non-trivial advances made by private high-speed rail projects: the Dallas–Houston service shopped around for terminals, and the Miami–Orlando line began actual construction. As Does the Electric Bicycle. The Cambridge-based mobility company Superpedestrian began to mass produce and accept pre-orders for its innovative Copenhagen Wheel this year. The wheel transforms an existing bicycle into an electric-powered bicycle—and could transform American cycling practices in the process. In his CityLab piece about the wheel, Nate Berg reported that experts believe the United States will be one of the world's top e-bike markets within the next 20 years. Honorable Mentions. The push for pay-per-mile driving fees has moved from Oregon to California. Bike-share has shown itself a true part of the transit network (though it's still struggling to reach poor people). Singapore's free early bird transit initiative was such a great success it got an extension. Smartphones are doubling as fare cards in more and more cities. Real-time transit information is coming to a mobile app in your pocket and a digital screen in your lobby. And last as well as least—get ready for the dashboard selfie.